A head-on collision shut down both directions of Niles Canyon Road between Sunol and Fremont for roughly two hours early Friday, the Alameda County Fire Department said. Bob Redell reports. A head-on collision shut down both directions of Niles Canyon Road between Sunol and Fremont for roughly two hours early Friday, the Alameda County Fire Department said. 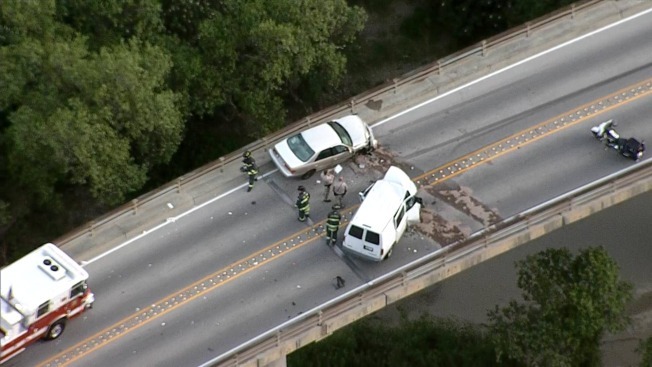 A silver Toyota Camry struck a white minivan around 6 a.m., blocking a bridge over Niles Creek and sending two people to the hospital. The heavily relied-upon road was reopened just after 8 a.m., according to the California Highway Patrol. Three fire engines, one fire truck and a battalion chief were on scene, officials said.